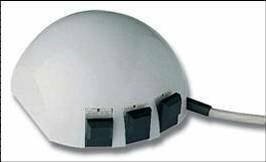 Logitech's first ever mouse - the P4 mouse was developed in 1982. Now forty years on, Logitech the Swiss firm that was founded in a farmhouse in Apple, has announced that it has sold its one billionth mouse, since it designed its first, the P4 in 1982. Today Logitech produces 376,000 mice a day, 7.8 million per month and sells the mouse in 100 countries worldwide.